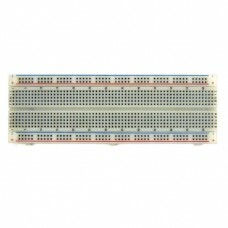 Breadboards are used to build up electronic circuits either as a prototype to verify a design, or just for learning how certain circuits work. 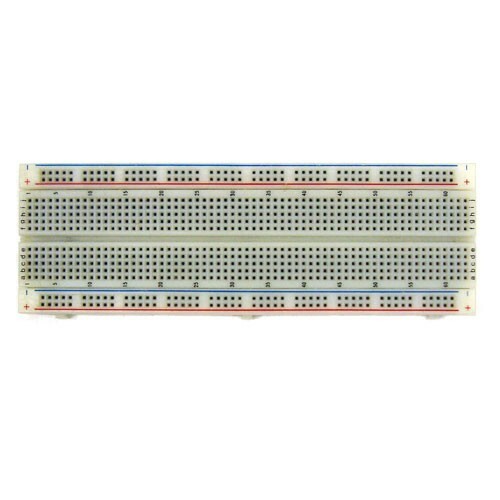 This standard sized breadboard has 830 individual connection points and two vertical power busses so that connecting to power and ground is easy. A great buy for electronic hobbyists and prototypers!